Designing inspiring, beautiful, one of a kind outdoor spaces for residential homes of all sizes and scopes. Specialize in unique water features, gorgeous stone work, sustainable landscapes in gorgeous gardens that you will love to be in. Beautiful hand drawn, scaled designs. 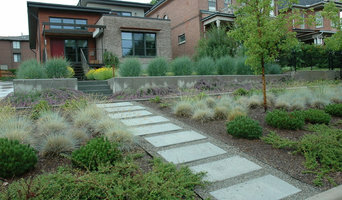 Landscape Design in Utah, California and Washington State. Laughlin Design Associates eliminates your stress and gives YOU a sense of pride and joy in your dream landscape project. We cover low maintenance landscapes, native plants-drought tolerant, food/vegetable gardens, back yard fire pit, patio/deck for entertaining, Enhanced curb appeal, lighting & audio landscape, and vertical & inside landscaping permeable paving. With 24 years of experience, we have a veteran team of Certified & Licensed team of contractors: Glen Christiansen, Greg Strong, Rob Schocker, Glen Trople. Reach out today! We would love to hear more about your project. Fees: -Minimum for design is $1,950.00 and up. I charge $150.00 for a consultation, waived if you sign a design fee. -Construction management fee is 10% of the total job cost. I will make timely site visits to insure every thing is going as I planned. 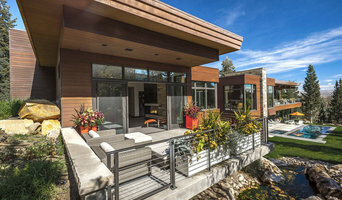 Founded by Steve Pendleton in 1985, Pendleton Design Management is one of the most respected landscape design/build firms in the Intermountain West. Our ideal client is the home owner with a desire to expand their living space to the outdoors and embrace the beauty and tranquility that nature provides as part of their everyday life. For over 30 years we've drawn inspiration from the splendor of Utah’s mountain landscape. We employ a palette of art-quality trees, indigenous stone and distinct water features to create the most natural and stunning space for you and your family to enjoy for years to come. Our creative process combines a client’s taste and perspective with our experience and vision. We begin by meeting with you, discussing your goals and exploring your property’s natural attributes. Then our talented designers incorporate our signature elements, such as specimen trees, distinctive water features, and complementary hardscapes, which distinctively set us apart from other landscape designers. 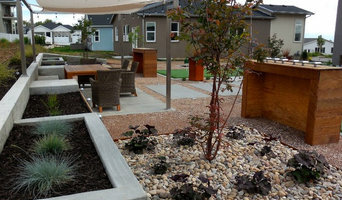 We are a landscape design/build company and there are many benefits to this combination. Our designers manage your projects from the beginning right down to the planting of the last flower. This results in achieving great continuity in the final product. LandArc is a landscape design and project management firm. Having come from landscape construction, we understand the construction process, and focus on the constructability of the elements in each project. Our geographical experience includes Northern and Southern Utah, Texas, Arizona, and California. We have worked on high-rise multi-family projects, city parks, commercial properties, rooftop amenities, and high-end residential homes. We are well-versed in a variety of landscape types, and climates. We are happy to provide Master Plans, Conceptual Plans, Grading and Layout Plans, Hardscape Plans, Irrigation Design, Planting Plans, 3D Renderings, Shade Structure Design, Pool Designs, Outdoor Lighting Design, Construction Documents, Construction Management, etc. G Brown Design, Inc. is an award-winning Site and Landscape Architectural firm serving clients throughout the United States. GBD, Inc. provides a full range of Site and Landscape Architectural services. As Site Architects our expertise lies in master planning and development of exterior spaces as they relate to landscape, pedestrian and vehicular circulation, functionality, spatial organization, wayfinding, aesthetics, and general site requirements. Structures, infrastructure, and landforms all play essential roles in site development, and require a practiced overview that takes into account the landscape issues of planning, implementation, and maintenance as the site and landscape mature. Landscape Architecture is taken to the limits of design and creativity. Bockholt Landscape Architecture is committed to achieving your goals and designing projects that are innovative and bold. I am delighted to present the team at LANDCURVE Landscape Architecture. Our goal is to provide to our clients creative, innovative, practical and top-quality design and contract administrative services in the field of landscape architecture. We thrive on the collaborative process and feel that the best projects are brought about through strong communication and problem solving skills from all parties involved in each project. The rapid success of the firm is attributed to the contributions of its Principal, Reid Mitchell, who has 16 years of experience. As a licensed Landscape Architect, in Utah, Nevada, Wyoming and North Dakota he has experience in many aspects of design and construction and loves the challenges and opportunities involved in each project. We are completely dedicated to each project from its first conception of sketches to as-built drawings. This detailed attention to project development eases the client's workload. Our full service approach to landscape architecture gives the client added assurance that we will handle any size project both confidently and completely. LANDCURVE supplies an established track record of excellent service for all of our clients. We intend to continue our advances in this marketplace with consistent improvements to enhance our level of services for you. 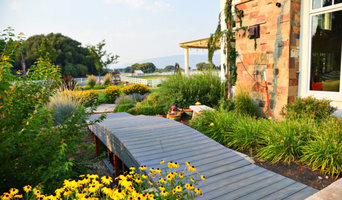 Providing landscape designs for residential locations in the greater Salt Lake and Utah County areas as well as offering landscape and plant advice for the unique Utah climate.